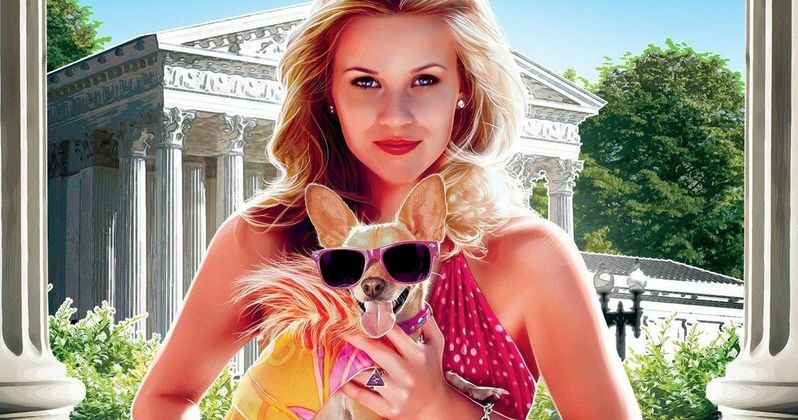 Elle Woods (Reese Witherspoon) takes on the world and brings it to order in The Legally Blonde Collection, coming to Blu-ray™ on February 26, 2019, from Shout! Factory's Shout Select line, available now for pre-order from Shoutfactory.com, and Amazon. In Legally Blonde, Elle's boyfriend Warner Huntington III (Matthew Davis) dumps her for mean girl Vivian Kensington (Selma Blair), and Harvard Law, so she decides she should go too - what, like it's hard? With her loyal sidekick Bruiser, the handsome Emmett (Luke Wilson), and new friend Paulette (Jennifer Coolidge) by her side, Elle hits the books and fights to be taken seriously, while she helps her friends stand up for themselves. Directed by Robert Luketic, the film cited as "impossible to dislike" by Roger Ebert also stars Victor Garber, Holland Taylor, Ali Larter, Linda Cardellini, and Raquel Welch. "Never underestimate a woman with a French manicure and a Harvard Law degree," says Congresswoman Rudd (Sally Field) In Legally Blonde 2: Red, White, & Blonde. In this charming sequel, Elle (Witherspoon) storms the Capital in her one-of-a-kind fashion to pass a bill against animal testing, turning DC on its stuffy, boring head. Directed by Charles Herman-Wurmfeld, Legally Blonde 2 also stars Regina King, Jennifer Coolidge, Luke Wilson, and Bob Newhart.